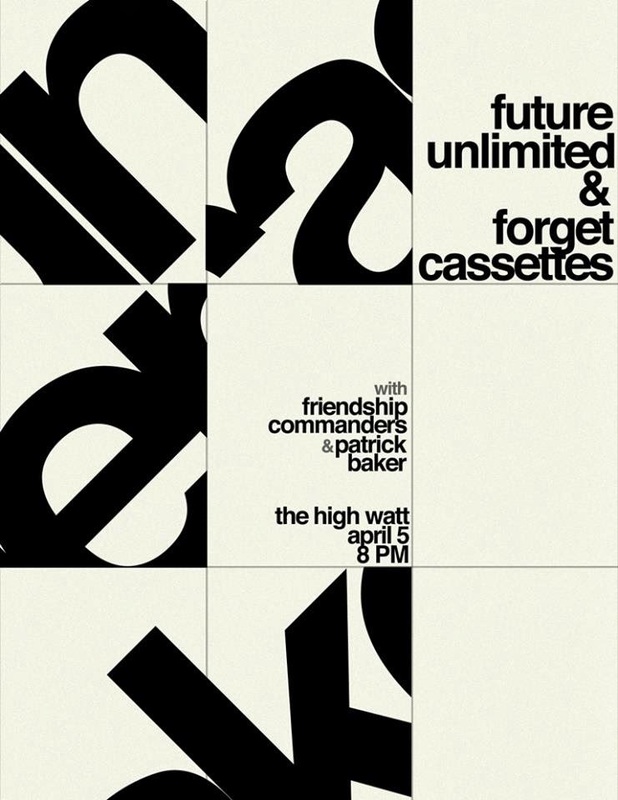 We're playing a rad show with some other Nashville people on April 5th, at the High Watt. Future Unlimited and Forget Cassettes invited us to rock with them, and the dudes abide. Also, Patrick Baker will be playing. What's not to dig? We're trying to get the show bumped up to a bigger venue, and if we sell enough tickets in advance, we will. It's $7 now, and $10 day of - so you can save 3 bucks, too! Win/Win. Buy tickets HERE.